It has often been demonstrated that the ongoing rapid climate change in the Arctic region is causing substantial change to Arctic ecosystems. 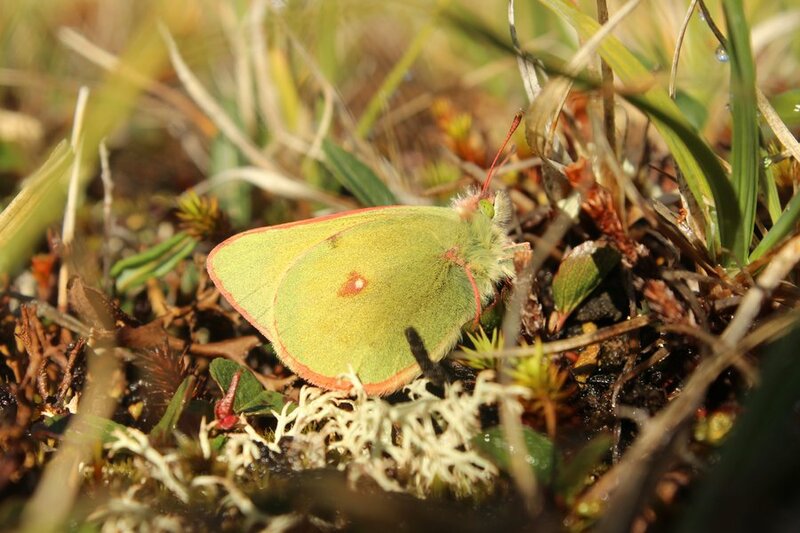 Now Danish researchers demonstrate that a warmer Greenland could be bad for its butterflies, who are becoming smaller under warmer summers. Researchers from Aarhus University have measured wing length of nearly 4,500 individuals collected annually between 1996 and 2013 from Zackenberg Research Station in Northeast Greenland, and found that wing length has decreased significantly in response to warmer summers and at the same rate for both species investigated. Only very few field studies have been able to follow changes in the body size of the same species over a period where the climate has changed and this is the longest known time series on body size variation in butterflies, of which we are aware. Body size change in response to rising temperature is an anticipated response to climate change, but few studies have actually demonstrated it in the field. The response can go both ways; for some animal species, a longer feeding season results in increased body size, and for others the changes in metabolism causes a net loss of energy which reduces the body size. The results of the new study are consistent with earlier lab experiments and broad spatial scale studies suggesting that higher temperatures during rearing result in smaller adult body size. “We humans use more energy when it is cold, because we must maintain a constant body temperature. But for butterfly larvae and other cold-blooded animals whose body temperature depends on the environment, the metabolism increases at higher temperatures because the biochemical processes are simply faster. Therefore, the larvae use more energy than they are able to gain from feeding. Our results indicate that this change is so significant that larval growth rate decreases. And when the larvae are smaller, the adult butterflies will also be smaller,” explains Toke T. Hoye. 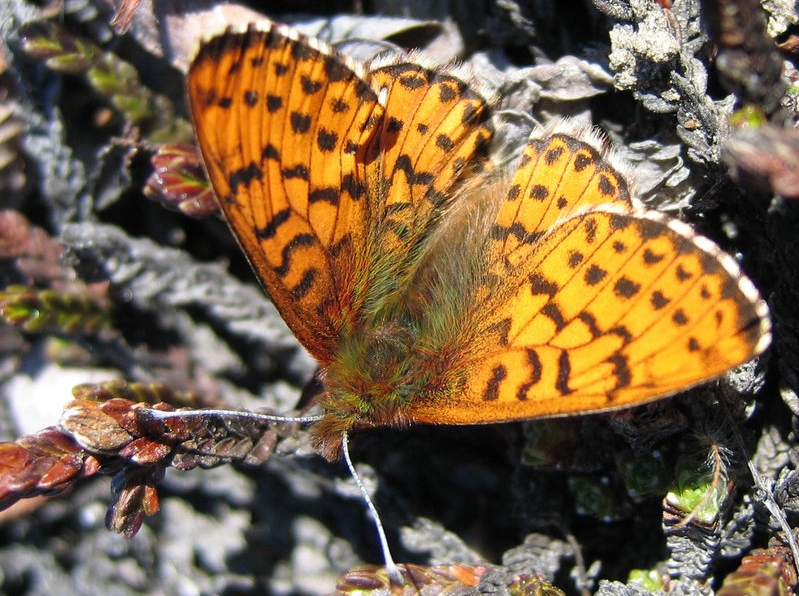 The consequences for the Arctic butterflies can be quite substantial. Smaller body size means that the butterflies are less mobile. As the species only live in the far North, the development could have significant consequences for their population dynamics and future geographic range. “These butterfly species are under pressure from multiple sides. They live so far North that they cannot move to cooler regions, and they will probably disappear from the southernmost part of their range due to the warming temperatures. In addition, their dispersal capacity is deteriorating, and smaller body size may result in lower fecundity, so these Arctic species could face severe challenges in response to ongoing rapid climate change,” says Toke T. Hoye. Butterflies belong to a group of organisms that are particularly sensitive to changes in the environment. Therefore, long-term studies of butterflies and other insects are particularly suited to demonstrate the ecological consequences of global climate change. The above post is reprinted from materials provided by Aarhus University. The original item was written by Christina Troelsen.